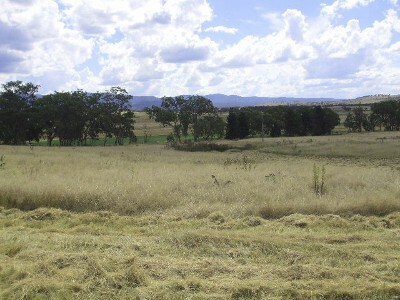 Three lots have become available for purchase, located just 10 kms west of Tenterfield with access from the Bruxner Highway. ·	Lot 65 - 16.19 hectares (40 acres) of vacant land $150,000.00 ·	Lot 621 - 69.33 hectares (171 acres) of vacant land $240,000.00 ·	Lot 13 - $250,000.00 16.19 hectares (40 acres) with an average rainfall of 30" p.a. Fully insulated and lined colorbond shed consisting of 3 bedrooms, bathroom, laundry, fully kitchen and lounge room with combustion heater. Double garage and 3 x 5000 gallon poly tanks. 250,000.00 - UNDER CONTRACT This is an excellent opportunity to purchase a sound-breeding block with panoramic views. Inspect today!